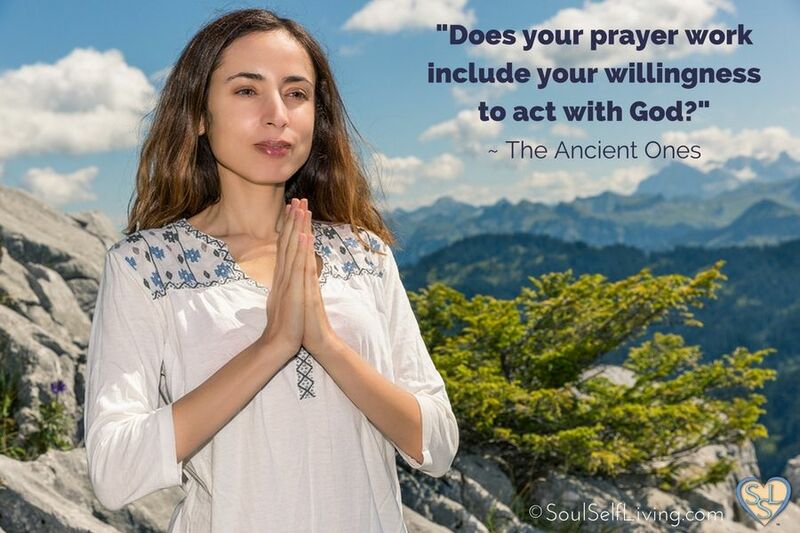 How do you pray? Does your prayer work include your willingness to act with God? Do you hold firmly in your mind that which you desire, until you become a vibrational match within? Try it, and watch for the desired results. There is no need to figure out how your prayer will be accomplished. Rather, hold the intention and be willing to do your part as the hands of God, as you feel inspired. We are designed to work in tandem with God. This brings great pleasure to our Soul. Click To Tweet Endeavor to become more spiritually involved in your prayer work.